Are you looking for a delicious salmon recipe with a difference? If you are, you’ve found it! 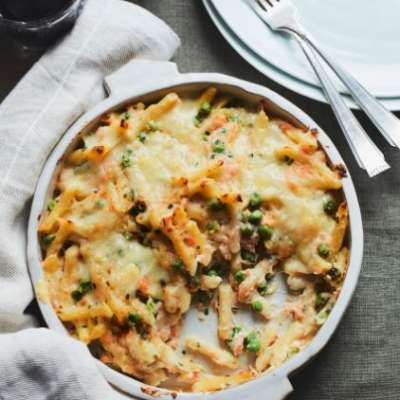 Here’s my pasta bake with smoked salmon, fontina & peas for you to enjoy. This is a fantastic way to use smoked salmon, and many people who don’t generally like fsh – such as my wife – love this recipe. If the béchamel and pasta are hot you can just pop the dish under the grill until the cheese melts, as I’ve done here. If you want to make it ahead, prepare up to the end of step 4 then reheat the dish in a preheated oven (200°C/gas mark 6) for 20–25 minutes. If you prefer, use smoked trout instead of salmon. 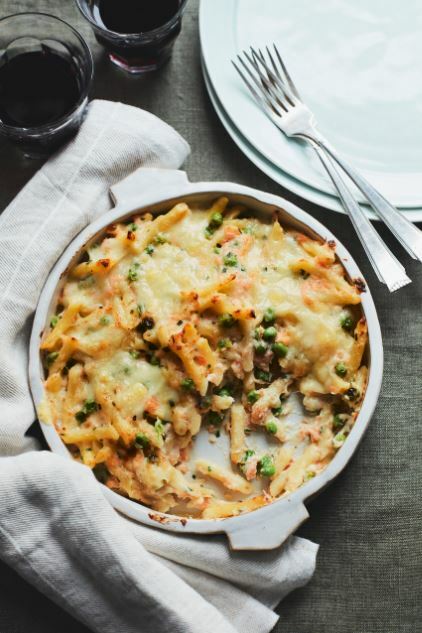 Feast your eyes on the finest pasta bake with smoked salmon, fontina & peas! It’s straightforward and fun to make this great dish. Simply follow the instructions below and get the perfect result. First make the béchamel sauce. Melt the butter in a medium saucepan over a medium heat until foaming. Add the four and cook for 1–2 minutes or until pale golden, stirring continuously. Start adding the milk a little at a time, whisking constantly and waiting for it to be incorporated before adding more. Bring to the boil then reduce the heat and simmer gently for 5–10 minutes, whisking occasionally, until thickened and smooth. Add the nutmeg and paprika and season with salt and pepper. Remove from the heat and set aside to cool slightly. Cook the pennette in a large pan of boiling, salted water until al dente. Drain thoroughly and tip it into a large bowl. Add the smoked salmon, peas and chives, and half each of the fontina and the béchamel. Stir to combine. Preheat the grill to medium. Grease a round baking dish, 25cm diameter. Tip in the pasta mixture, cover with the remaining béchamel and scatter over the remaining fontina. Place the dish under the grill and cook for 5 minutes or until golden. Leave to rest for about 5 minutes, then serve. 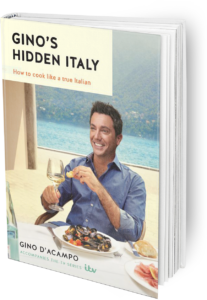 Once you’re done, simply sit back and enjoy your pasta bake with smoked salmon, fontina & peas and don’t forget to check out other great authentic Italian recipes including great antipasti recipes, Italian pasta recipes, Italian soup recipes, Italian beef dishes and authentic pizza recipes.